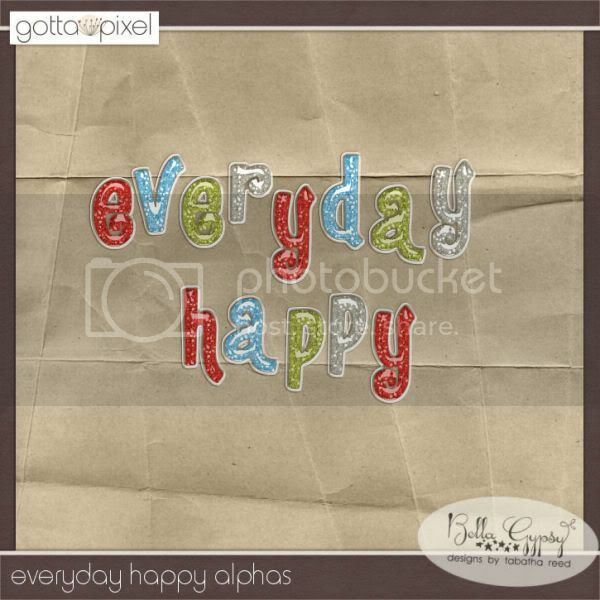 It’s GGI Time with Everyday Happy! Hello, Kiana here! It is that time again! Time for the Gotta Grab It event at Gotta Pixel and boy do I definitely have to grab this gorgeous kit from Bella Gypsy! The kit is called Everyday Happy. I think that is the perfect name for this kit. Here is a preview of all the pieces together. Just looking at this kit makes me smile! 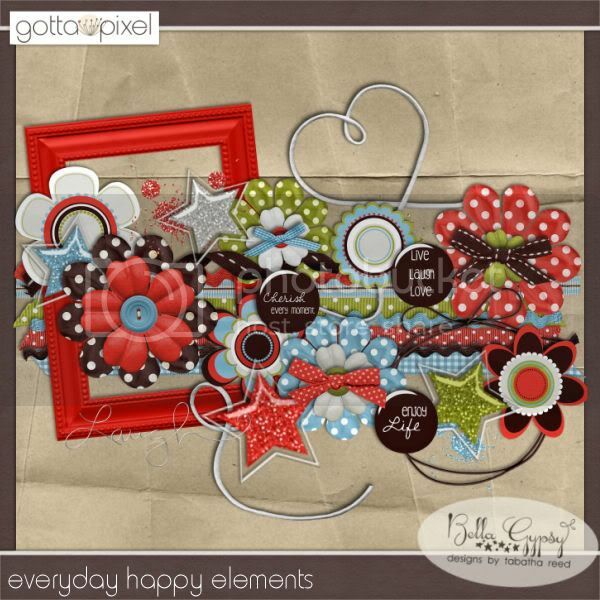 You can grab each portion of this kit (elements, papers, and alphabet pack) for a $1 each right now during the GGI event so scoot on over there quick! This kit is amazing and such a good deal! And speaking of amazing here are some great layouts from our amazing creative team! I hope that everyone is having a fantastic weekend!